Jeroen Diepenmaat – Frayed Air (S.1c) | Esc.rec. NOTES: This is the record of the third of three live performances at the ‘Muziek bij de Buren’ festival. This recording ends in an endless loop (locked groove) due to technical failure. 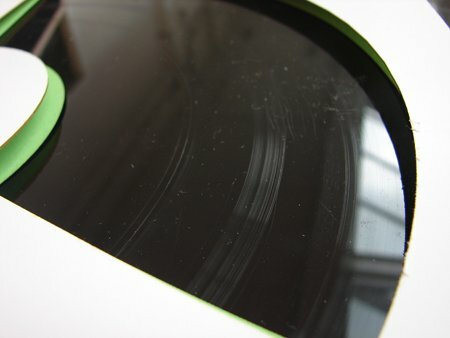 PROJECT DESCRIPTION: During a performance grooves were made in one side of this record using knives and sand paper. The recording of the performance is on the other side. Sediment is a new series in the Esc.rec. catalogue. It is in a completely new ‘one-of-a-kind-art-object-directly-related-to-live-performance’ category. 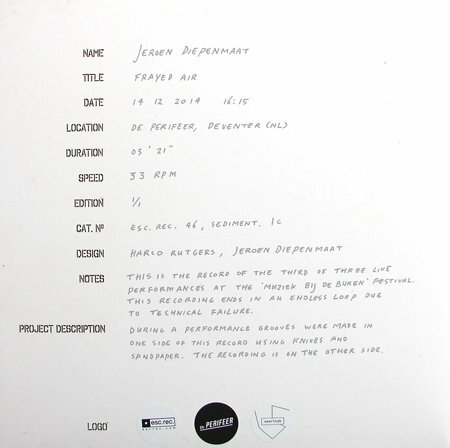 The three Frayed Air albums by Jeroen Diepenmaat are the first three Sediment releases: Sediment 1a, Sediment 1b, and Sediment 1c. You are currently looking at Sediment 1c. 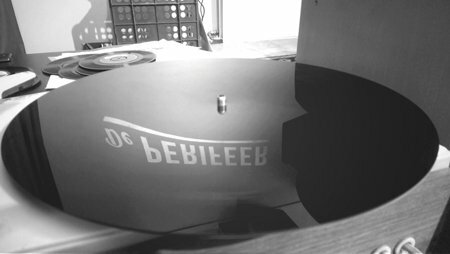 The Frayed Air albums (S.1a, S.1b and S.1c) are the record of three live performances by Jeroen Diepenmaat at the ‘Muziek bij de Buren’ festival in De Perifeer. 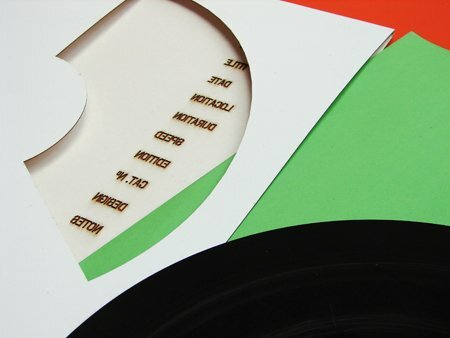 During these performances grooves are made in one side of blank vinyl records, while playing simultaneously on four turntables, using knives and sand paper. Thus Jeroen Diepenmaat physically sculpts a live soundscape with a gradual accumulation of subtle pops, clicks, hiss and noise, occasionally using additional sounds from pre-recorded vinyl. The result is extremely meditative, ingenious and beautiful. Afterwards the recordings of these concerts are cut on the other side of the same blank vinyl that was used as an instrument during the performance. This makes all three Frayed Air albums totally unique and directly linked to the live experience where they originated; they are a concert registration and an instrument united in one object. 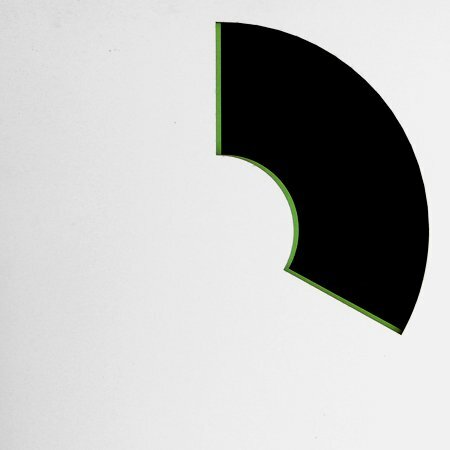 Frayed Air comes on black 12″ vinyl in a white outer sleeve and a green inner sleeve, both laser cut. 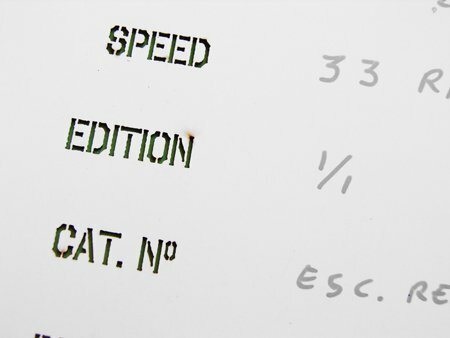 The release details are hand written on the back by Jeroen Diepenmaat. Jeroen Diepenmaat is a visual artist with a predilection for sound. In his works he combines visual elements with audio. This ranges from installations that generate sound, to drawings of 7″ records, to objects that require to be used for performances. 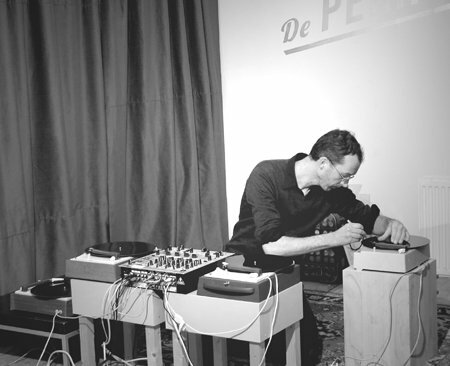 Diepenmaat likes to poetically point to almost forgotten details or focus on small sounds. And just as sound always takes time, the passing of time is also often reflected in his site-specific installations for exhibitions. One (generally unnoticed) element in the exhibition space is carefully changed to become a determining factor. In short; Jeroen Diepenmaat creates omnifarious works, but always with the following keywords in mind: poetic, subtle, small, detail, sound, vinyl, slow, focus, time. Jeroen Diepenmaat’s work was shown a.o. in Museum voor Moderne Kunst in Arnhem (NL), Martha Museum in Herford (D), La Casa Encendida in Madrid (SP), Institute of Contemporary Art in Boston (USA), Montevideo – Dutch Institute for Media Art in Amsterdam (NL), Extrapool in Nijmegen (NL), Serralves in Porto (P), Boijmans van Beuningen in Rotterdam (NL).